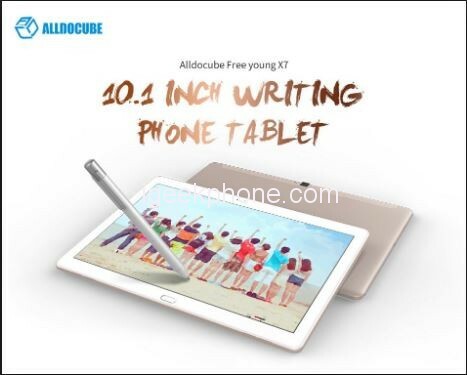 When it comes to the production of top-notch tablet PC and Laptops, ALLDOCUBE is one brand to be trusted as their product has been tested by lots and lots of people who have only good things to say about the brand. The ALLDOCUBE T10 Plus is one its product recently launched. It is paced with lots of scintillating features and hardware that make it stand out in the market. The ALLDOCUBE T10 Plus comes in an all black color. It has rounded corners with chamfered edges which makes it looks very nice at first sight. The ergonomics of the tablet is quite good as well. It has a dimension of 24.00 x 16.70 x 0.83 cm and weights 530grams. The housing is made of a high-class aviation aluminum. This is a Tablet PC to behold, so if you’ve always had the mind to get one, this is a great opportunity. don’t miss out on this one. The ALLDOCUBE T10 Plus is Powered by the MTK8783 Quad Core 1.5GHz CPU which makes it performance workhorse. This device is embedded with a 3GB RAM which is substantial high-bandwidth RAM to smoothly run your games, photos, and video-editing applications, as well as multiple programs and browser tabs all at once. It has a 32GB of SSD which provides faster data transfer than eMMC storage found on most similar tablets. The SoC is paired with MALI T720-MP3 GPU making this device to easily decode 4k videos and run smoothly with LOL, DOTA2, and other mainstream PC games. The device sports a 10.1 inch 1200 x 1920 Resolution Screen which provides wide viewing angles and boasts impressive color and clarity. The Tablet PC comes with dual cameras for photos and Face-to-face chat. It has a 5.0MP front and 13.0MP rear cameras enabling you to capture memorable moments or chat with friends. It runs on Android 6.0 operating system. The ALLDOCUBE T10 Plus does not only support the 2.4GHz single frequency wifi which can no longer satisfy user anymore but this device also supports the 5GHz wireless protocol. Thus, watching a video and playing game just got faster and smoother. As for interfaces, the audio jack is on the top. A SIM/microSD card slot is on the bottom left side, while the speaker is in the center. The USB Type-C port is on the bottom right corner. It sports a 6500mAh battery. A high-performance processor matters a lot. Many get frustrated at freeze when they close in for the kill, get disconnected when teammates need them in the fight, never enjoy graphically demanding games and multitasking. 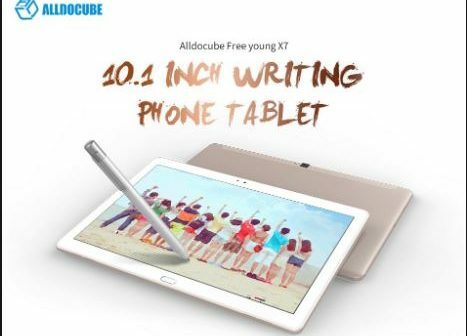 ALLDOCUBE T10 Plus 4G Phablet 10.1 inch is a perfect Phablet for your daily use. Equipped with a 10.1 inch 1200 x 1920 capacitive screen, brings your photos and videos to life. Android 6.0 OS ensures you more wonderful user experience. Powered by MT8735 Quad Core processor, offers you smooth operation and stable multitasking experience. 5.0MP + 13.0MP camera for capturing memorable moments and high quality pictures in daily life. Featuring MALI T720-MP3 GPU, all of this give gamers a full suite for gaming dominance and offer gamers a truly seamless gaming experience. Dual band 2.4GHz / 5.0GHz WiFi supported, ensures you high-speed surfing.